A bit of a topic change here, but I thought you chaps could give me a hand here. 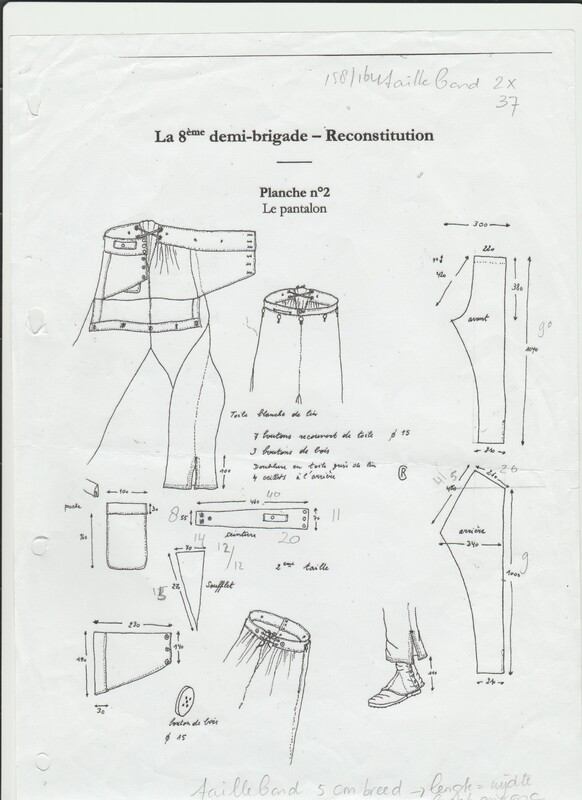 By any chance does anyone have or know where I could get some sort of instruction manual or pattern for making white french infantry pants of the Napoleonic period? I don't really think the people there truly know what they have been saying: calling an ex-german veteran a hero. I have the pattern SOMEWHERE, but you'll have to wait a few days till I get back home. Some of you will be in Valencay next week end ? Valencay ? what is it for event? I'll be in a small city called Hulst here in the Netherlands next weekend. Whats going on in Hulst? Just got back from Cannon Hall, great event, though weather's been absolute shite today, was lovely yesterday, also bought a backpack from our Cpl Fo, once my gaiters are done being made that pretty much all the standard kit obtained. Back from a three day tournament. My elbow's grazed, my knee bruised to hell, I'm exhausted and fairly sure none of my muscles are going to work tomorrow morning. Crowd loved us though, EH organisers loved us, there was awesome atmosphere with the musicians and fool and living history group. Good weekend. 20 minute grand melees are a hell of a thing. So much sweat.